Following the retirement of Armed Forces of the Philippines (AFP) General Pio Catapang last June, General Leonardo Espina also steps down from his post in the Philippine National Police (PNP). In his place, in the PNP Change Of Command Ceremony in Camp Crame, held last July 16, 2015. In accordance with Republic Act 6975 aka. 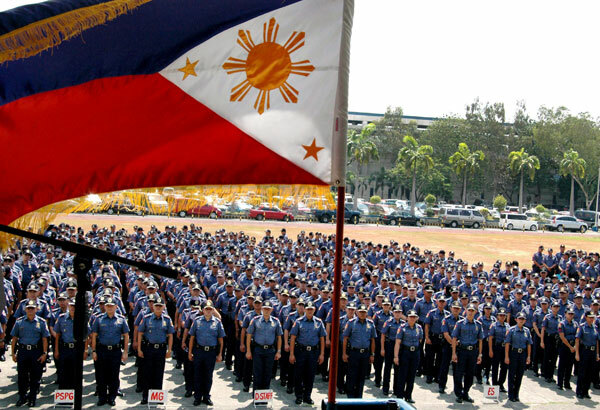 Department of the Interior and Local Government Act of 1990, the PNP we know today was officially formed in January 29, 1991, upon the merging of the Philippine Constabulary and Integrated National Police. With Headquarters located in Quezon City, the 160,000 strong force belongs under the Department of Interior and Local Government. Leonardo Espina became the 19th PNP Chief in February 2015 following the removal of PNP Chief Alan Purisima from his post. The Force had suffered greatly in January, when 44 officers in the Special Action Force fell during the Mamasapano Maguindanao encounter. Espina, on Tuesday, earlier remarked on Marquez’s “proven track record,” describing him, rather, to be a hardworking officer.” In his inaugural speech, he mentions a new anti-crime model they’ve been working on. I admire the force and its efforts to sustain peace within the nation’s borders. For instance, the PNP’s preparation for President Benigno Aquino III’s final State of the Nation Address (SONA) was substantial and, as Marquez put it, “not overkill.” I would like to believe that PNP is taking every step to observe peace within the country but what about us? What part do we play? In keeping the peace, there should be mutual agreement amnong all concerned parties for the Police Force does not have simply one enemy. We keep blaming and blaming but what do we really do? In the end, rallies are futile and blaming reaps nothing. I support these peacekeepers in their intentions and admire all those who have joined the force for the greater good, not for self-profit or gain but genuinely for the peace. Truly, there has not been enough thanks but criticism, not only toward the government but most especially even towards our Police force. And, in this scenario, we cannot blame them if they are discouraged by these strong oppositions that aim to further the demise rather than help the cause. But for this matter also, it is very timely for events that promote our heroes rather than destroy them. Such was with the recently concluded “Songs For Heroes 2: Ang Mamatay ng Dahil Sa’yo,” a benefit concert under UNTV: Your Public Service Channel in which we showcased talents from and for the PNP and AFP. On behalf of the Filipino people who truly care, I support our peacekeepers and their sacrifices for our country throughout the years.